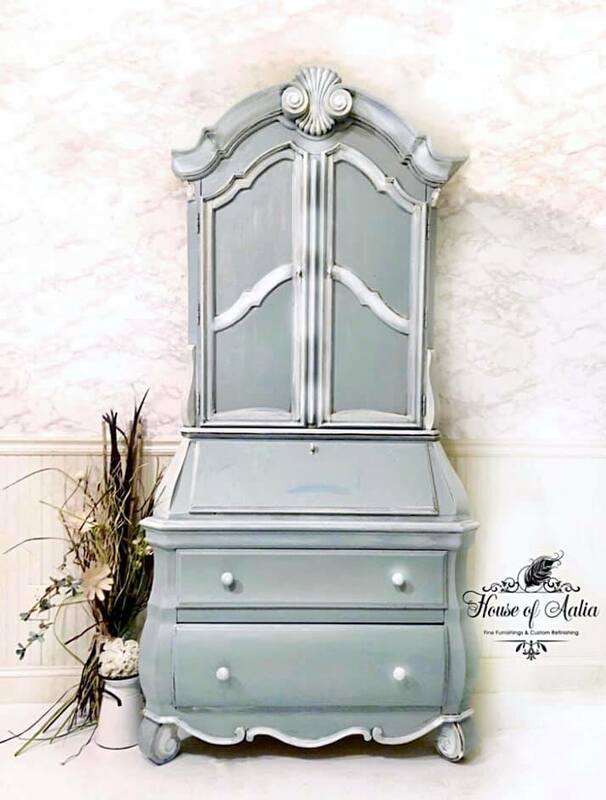 Beautiful armoire in GF Persian Blue by House of Aalia "This armoire looks like it once could have lived in an old French country estate. Grand and elegant, but also familiar and cozy, this piece would be a lovely addition to any living space. Place in foyer or in a dining room...or even in a study- there’s a pull out secretarial drawer complete with writing surface and small storage compartments. It's rich blue gray finish is offset with ivory highlights, and a subtle silver glaze has been applied to create additional depth and dimension."